GRAND CAYMAN, 1983. When ex-Army Ranger Jake Fonko is hired for a routine job in the Caribbean, the first day of his mission doesn't turn out as planned. 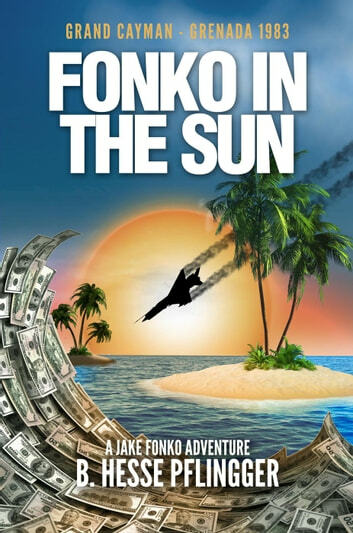 After stumbling into possession of highly sensitive financial documents from the BCCI, a bloody bank robbery, a barroom shootout, multiple aerial dogfights and a chopper crash in the Jamaican jungle welcome him to paradise. With no passport and no backup, Jake finds himself pursued by crooks, cartels, corrupt politicians, the CIA, and the KGB. If he wants to survive paradise, Jake must find a way out of a mess that's anything but routine. But are Jake's skills enough to escape the suffocating surveillance?